Congratulations Diana and Mike! 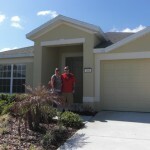 We are so happy you found your dream home in Clermont – and that we were able to help you find it! 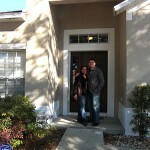 Being a first time home buyer isn’t easy. 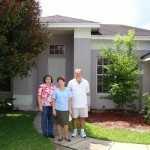 Diana and Mike were facing what many renters are facing: the foreclosure on their landlord’s home. So when they got served the letter at the beginning of the year this nice young couple knew: we need to get out here asap! So they contacted us and we started “the hunt”.